The secret behind how Sears’ exclusive appliance brand comes up with its award-winning designs — and a sneak peek at the new lineup of dishwashers, refrigerators and washers. Did you know, Sears Home Services is the only nationally authorized Kenmore Service Provider? Talk about a dynamic duo! 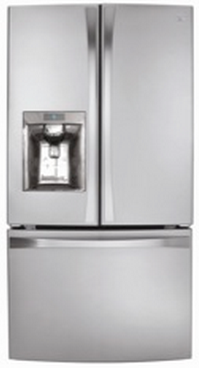 Sears and Kenmore offer a wide range of award-winning appliances, including fridges, washers, grills and vacuum cleaners. Many of you know that Kenmore is exclusively available at Sears. But what you might not know is how Kenmore designs and manufactures those top-selling appliances. The Kenmore team takes the best of what other manufacturers have to offer. They identify unmet needs and insights using their unique relationship with customers. They then optimize and customize the best-performing appliances in the industry especially for Sears, explains Brian Jochum, senior marketing director for Kenmore. “Our team has particularly good insight into repair issues and customer needs because of our long history with appliance repairs and service calls, being the number-one service provider in the nation,” he explains. The team can then scour the Earth to find the best manufacturers that will deliver appliances that address customer needs and have them designed under the Kenmore brand. And once you buy a Kenmore appliance at Sears, you’ll get the full spectrum of service: delivery and installation, repairs in the event of a breakdown, and replacement parts and accessories from Sears PartsDirect. To ensure service is always top-notch, Sears Blue Service Crew technicians are specially trained to fix Kenmore appliances. Kenmore has continued to offer top-of-the-line products for over 100 years, staying up to date with new technology and offering a vast array of appliances. The designers say this is the quietest dishwasher Kenmore has ever made! 360° PowerWash Plus Technology features a motorized spray arm that moves backward and forward and won’t get blocked if an item falls out of place. Plus, it lingers longer to hit all angles. TurboZone With Rotating Spray Jets provides double the coverage, with four jets that rotate to reach into the deepest corners and get at that pesky food stuck to your dishes. 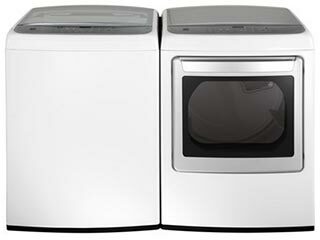 SmartDry Option adjusts the drying time and energy used to match the wash cycle. One Hand Adjuster lifts and lowers to accommodate large or odd-sized pots and pans. 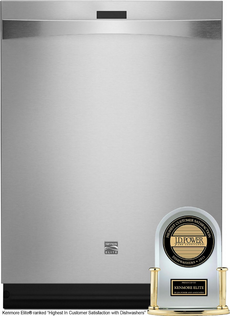 his gorgeous ENERGY STAR®-qualified fridge has what just might be the fastest chiller on the market. Cold drink, anyone? Accela-Chill includes five- and eight-minute selections to help chill your beverage quickly. Simple Select Dispenser has a sleek look with easy-to-use icons for water, ice and crushed ice. The spacious design lets you fill large pitchers, coffee pots and water bottles with ease. This pair puts a modern spin on the traditional top-load design. Accela-Wash Technology aims to get full-size loads clean in less time. Smart Motion Technology makes one-size-fits-all washing a thing of the past. The motor offers six different wash motions, providing customized care for different types of fabric. Sanitize Dry Cycle is certified by the National Sanitation Foundation and eliminates 99.9% of certain bacteria, so you can sanitize items like pillows and teddy bears without washing them, as well as garments and bedding. Steam Refresh Dryer Cycle uses steam to reduce odors and relax wrinkles in just 20 minutes without washing.